Over the years as I’ve operated QRSS and WSPR, I’ve noticed that my original TS-590S and then the replacement TS-590SG have always been slightly off frequency and suffering from a little drift. This frequency inaccuracy was barely 30Hz which seems minuscule but when monitoring a section of the band which is only 200Hz wide, the 30Hz error was very noticeable. I worked around this though, calibrating my grabber software so that it was as accurate as I could get it. The drift was another matter and once I started monitoring on 10m, it was very obviously there. As the radio warmed up, it would take a good hour after being switched on for it to settle down and then over the course of a day, as the shack temperature changed slightly, the shift on received signals would be quite clear. I must stress that for normal day-to-day use, this drift probably wouldn’t even be noticed. Over a year ago I started looking at various options. Kenwood sell a replacement “Hi-stability crystal controlled oscillator” but at a cost of over £110, I decided that was out of the question. My next step was eBay where there are a large number of third party equivalents selling for about a tenner. These seemed too good to be true and after quite a lot of investigation, including reading discussions on various TS-590 reflectors, I decided not to buy one. Mark has produced his own TCXO and I signed up for one of at the end of March last year. 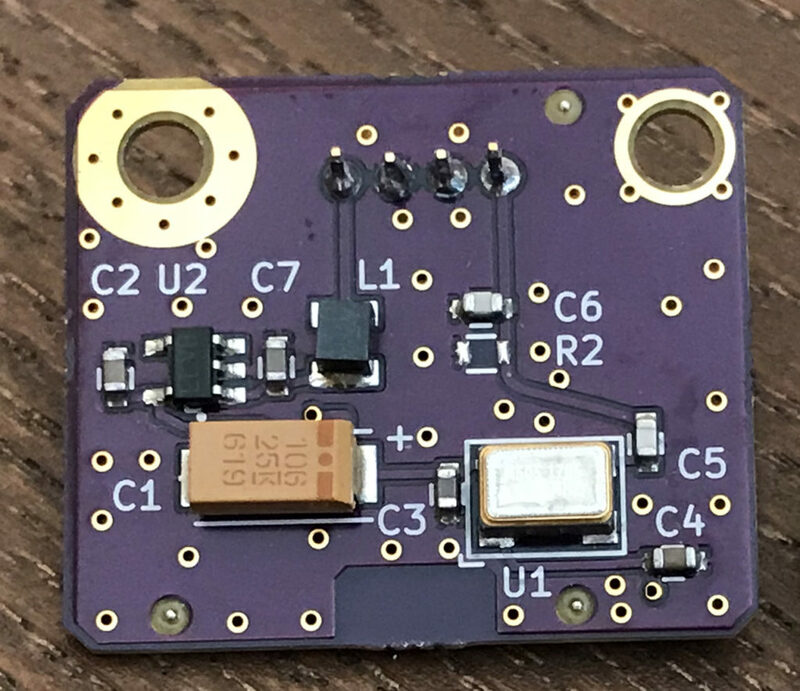 I’ve been following the progress of the manufacture of these boards with great interest and was very pleased to see that I’d been allocated one of the last units of the first batch. It arrived today and and it’s a really professional looking board, here’s the front along with an (old) £1 coin for size comparison. 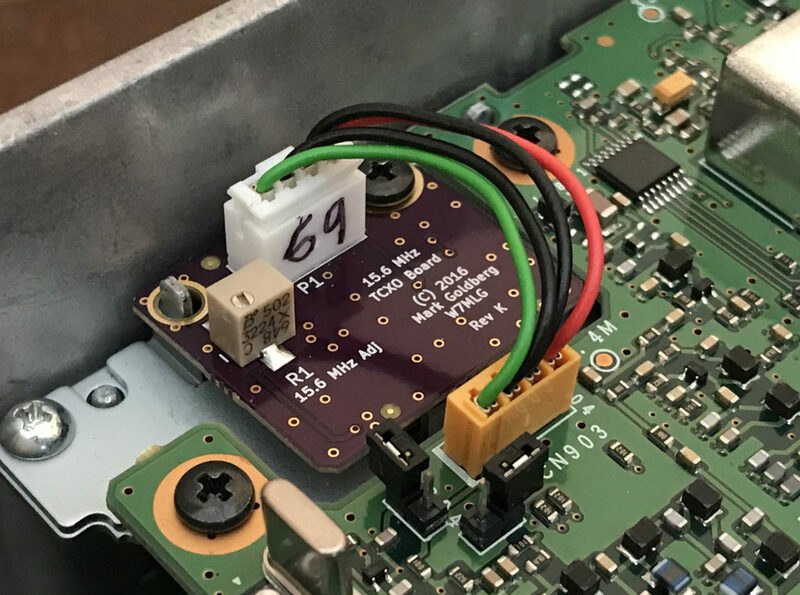 Fitting the TCXO was very simple – Remove the bottom cover, unplug one cable and remove one screw, take out the old board, fit the new board, plug it back in, refit the screw, remove two jumpers and put it all back together. The whole procedure took far less time than it’s taken to write this post. Having done all that, the important thing is the performance, how well does it work? It’s bang on frequency and there’s zero drift. I didn’t need to tweak the grabber in any way whatsoever, I just told it what frequency the radio was set to and what frequency range to display. This couldn’t be any more perfect. The next thing to check was the higher bands. My QRSS beacon normally sits on 10m so I tuned the receiver up there and configured the grabber in the same way, I set the base frequency and the range and let it rip. Again, this is spot on frequency with zero drift whatsoever. This TCXO has transformed my QRSS grabber and it will be the same if I use the wireless for WSPR. It’s really good to know that I’m now bang on frequency and I don’t have do any faffing about and adjusting the grabber to show the correct frequency. The final cost for this including shipping, VAT and the customs ‘handling fee’ was around £65 which is significantly cheaper than buying the Kenwood SO-3 module. It’s more expensive than the eBay copies but I consider it a very good investment. I thoroughly recommend the 15.6 MHz TCXO Board for Kenwood TS-590S by Mark Goldberg, W7MLG. 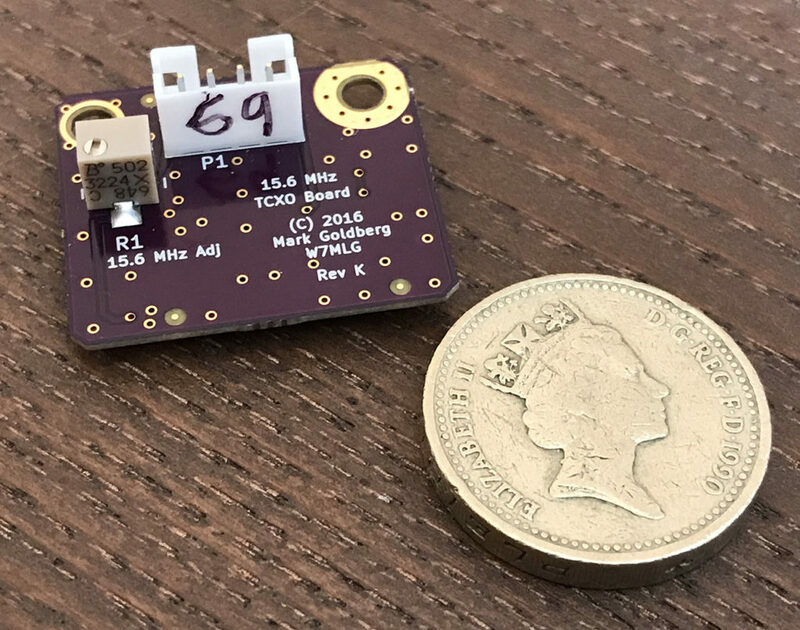 Usual disclaimer for when I write about products – I have no connection with Mark’s TCXO Board apart from being a very happy and satisfied customer.